Because of the school’s culture of acceptance, students understand the rights and responsibilities of citizenship, including an ethically-based sense of social responsibility. Students have cross-cultural awareness and experience working with people from diverse backgrounds. They are focused on making their school, communities, and the world better places. 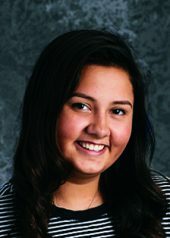 Kira Kested, Class of 2017, talks about how Tech Valley High School helped her become a global steward and culturally aware citizen, and why that’s so important in today’s world.